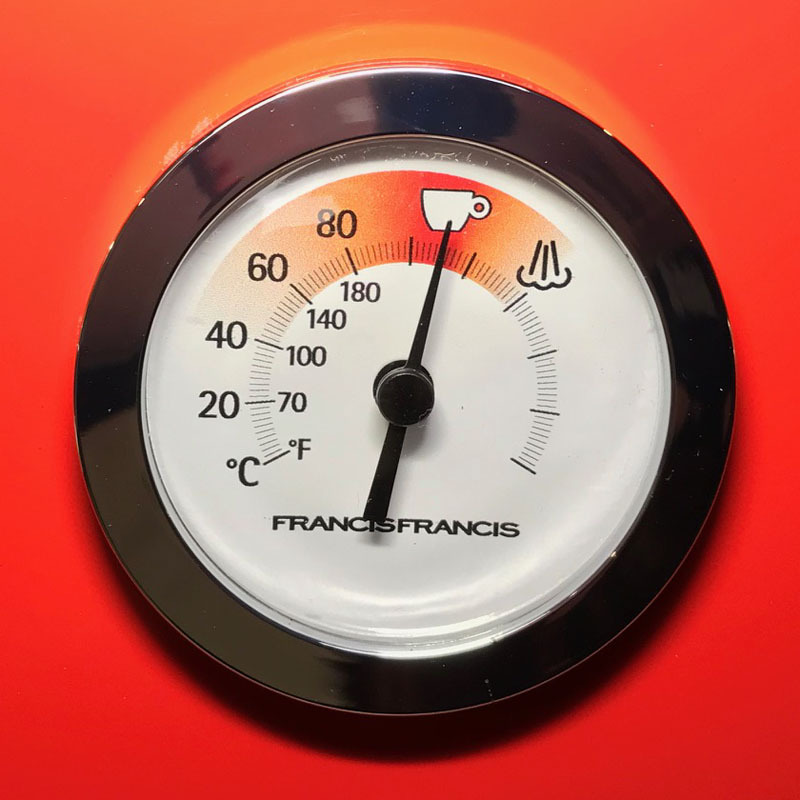 Introducing the very latest and current temperature gauge for your FrancisFrancis X1 machine. Please note this will fit into ALL versions of the X1 coffee machine (1st, 2nd and 3rd generations). 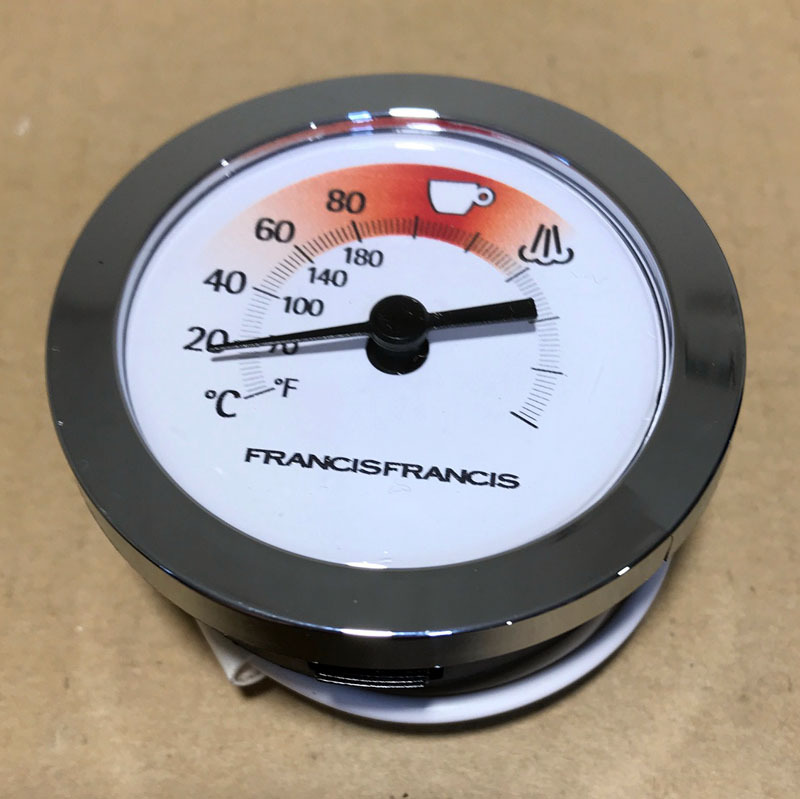 If your gauge has stopped reading the temperature accurately or stopped registering completely, then you can replace it with this spare part. 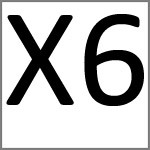 The earlier versions of the X1 had the gauge with the child's face on it, these have not been manufactured since 2007 and are therefore long since discontinued. The current gauge is suitable for the earlier versions, the fit size is identical. 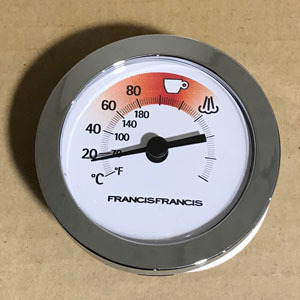 The gauge is made from plastic, the chrome look surround is a covered finish and not metal. 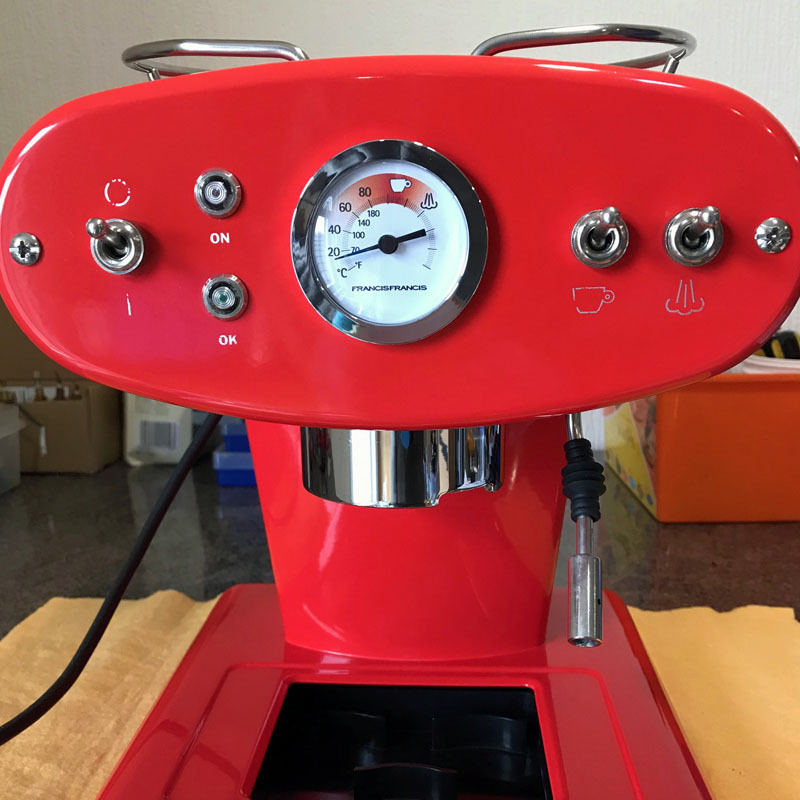 The temperature gauge has no bearing on the operation of the machine, it reads the temperature, it does not regulate it. 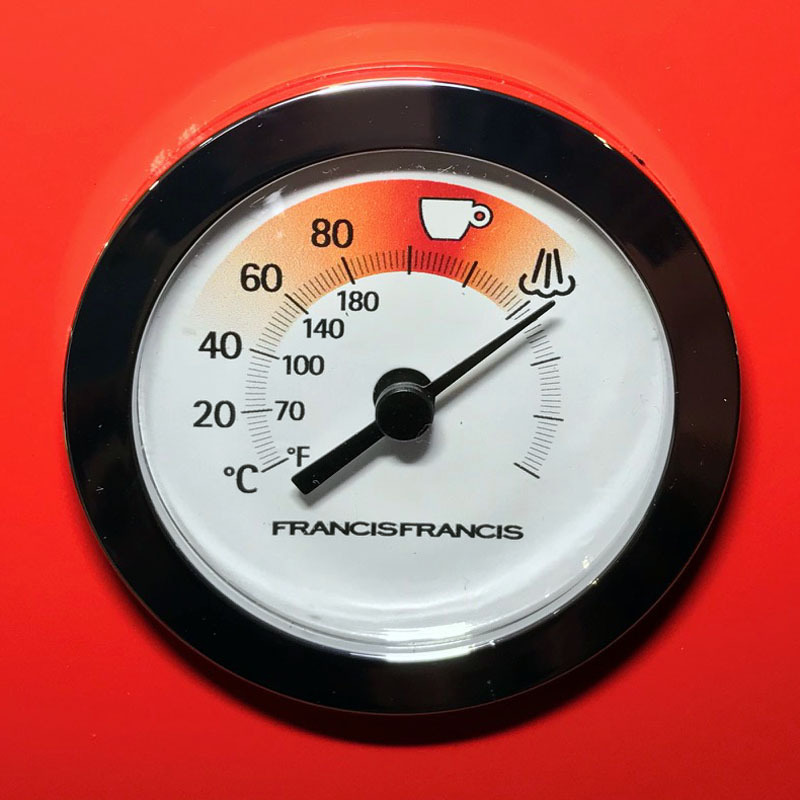 The gauge acts like a thermometer. 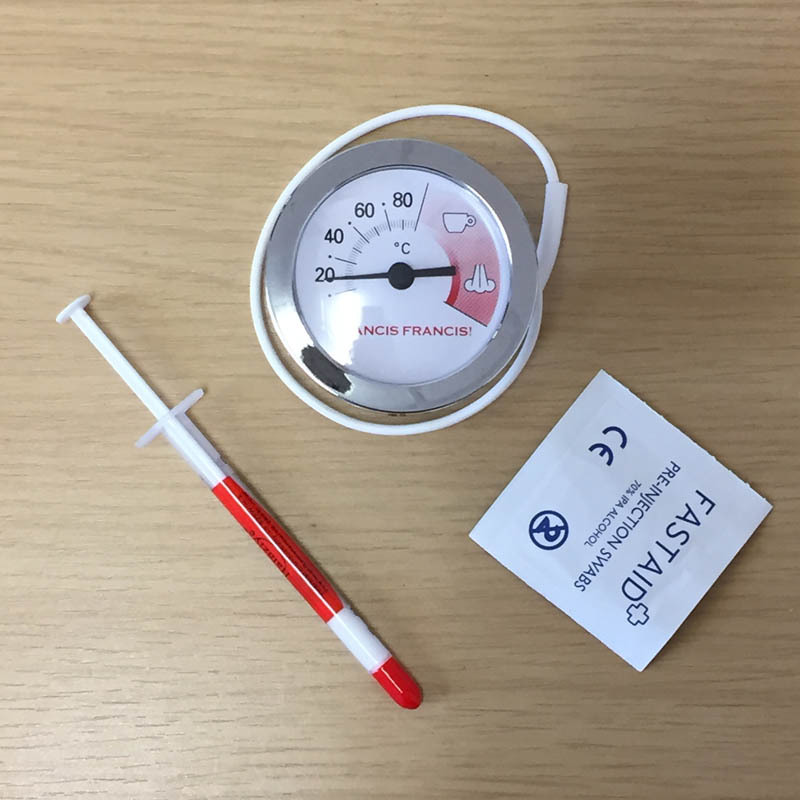 To do this the gauge has a probe that inserts at the top of the boiler, this needs to be cleaned out of any old thermal grease and replaced with the grease provided. You can operate your X1 without a temperature gauge, however a working gauge adds that little bit extra to the user experience, so it's well worth replacing. Please be aware to replace the gauge the front face, steam knob and top cover have to be removed. No electrical connections are altered. The gauge un-clips from the front face cover. The probe area needs cleaning and re-greasing. Do not attempt any repair work unless you are competent/qualified. If in doubt EMAIL us about our repair service. 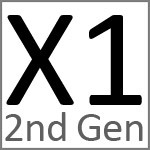 Suitable for all X1 generations.